An impressive score! 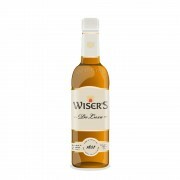 @Victor, Wiser's 35 YO finds a place in your top ten rated whiskies by score. This is a special blend, and hitting the glass at 100 proof demonstrates the powerful voice of the consumer and how we helped to shape the future of Canadian whisky. I tasted this two years prior to the 2017 release, I was blown away! Thank you for an exciting review. A bottle of W35 was recently opened for a gathering with the male talent pool of my immediate family...that poor bottle didn't stand a chance, it was drained along with bottles of Dissertation and Legacy. There is a lot of very nice juice sitting in Hiram Walker barrel houses at Pike Creek. All three of these aforementioned Wiser'e releases are blended whiskies... proves a point about some of the best whiskies on the planet being blends. 5 months ago 3Who liked this? 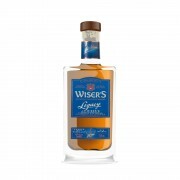 @paddockjudge it really is not surprising that the elite products among Canadian Whisky are now becoming as scarce, and as expensive, as the elite products from the other whisky styles of the world. 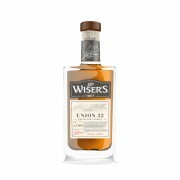 I do hope that our friends in the UK and Europe eventually get a chance to taste whiskies like Wiser's 35 yo, Wiser's Dissertation, Wiser's Legacy, Highwood Ninety 20 yo, and a number of others. You are wise to put aside as many bottles now as possible. I really do expect that within 2-4 years that getting these releases, in Canada, will become like getting Pappy Van Winkle now is. The extremely sad part is that if and when that happens the inability of most people to even get a taste of "the good stuff" will make it seem to not exist for many who would greatly enjoy it. Congratulations on putting in a good supply! And thank you again for the samples. I have a 30 ml sample of this 35 y/o 2017 and I’m waiting for one of my wife’s “girls nights” to do a proper, unrushed side by side with the 2018....of which I have a whole bottle. 5 months ago 1Who liked this? @Victor great review of this whisky, it describes it well, when you say bright I understand what you mean. There is a vibrancy in this whisky that the CC 40 was lacking, the wood flavours are present but well integrated within the rest. 5 months ago 2Who liked this? @cricklewood, when it comes to describing taste, all of our words are crude tools. We do the best we can to convey the meaning. @paddockjudge makes some marvellous blends, and yes, I have sampled a few of those in the past. I've been hanging out with @paddockjudge going back to late in 2012. I would love to taste the specific blend you have described, though I would entertain the idea that it is superior to the Wiser's 35 yo alone only after I have tasted it.